January is a lean, lean month. Thanks to Christmas I have no spare money anyway, and then coupled with that is the fact that we got paid slightly early in December (you know, for Christmas), which means it will have been a whole 5 weeks between pay cheques! It’s pretty tough going already and I’m only just past halfway there, so I’m trying to be very frugal at the moment. And as it’s no secret that buying your lunch everyday is an expensive thing to do, I’m trying to take my lunch to work every day. 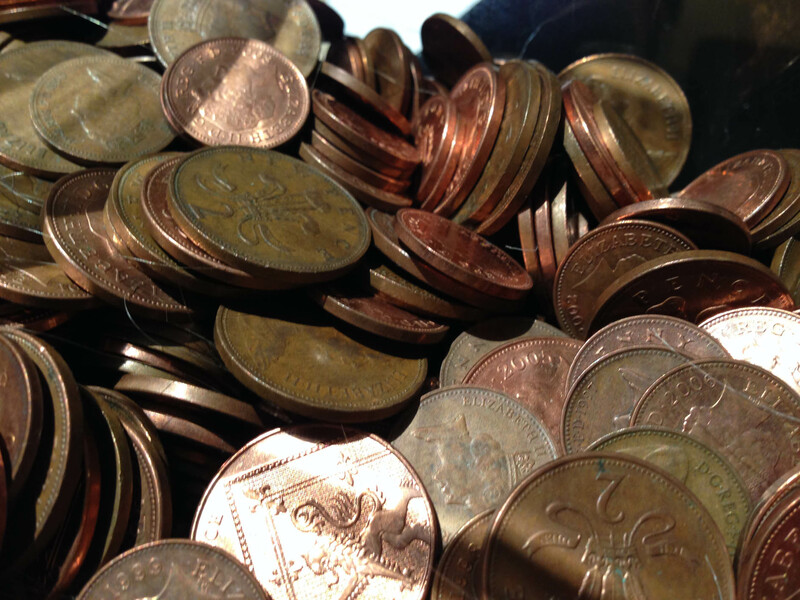 Even if I’m saving less than £5 a day, the pennies add up, people! It’s actually quite hard to keep this up though. It needs quite a bit of planning, and (if you’re not going to get bored or get lunch envy) quite a bit of inspiration as well. Here’s my list of ideas, which should hopefully keep things varied for the rest of the month at least. Fajitas(!) – seriously my colleague actually did this one the other day! Sometimes I pick up yellow-stickered healthy option ready meals from the Supermarket for around £1. They’re close to the best before date, but they’re a good cheap option. I once took homemade fishcakes served with crunchy salad. Delicious but quite a lot of effort. 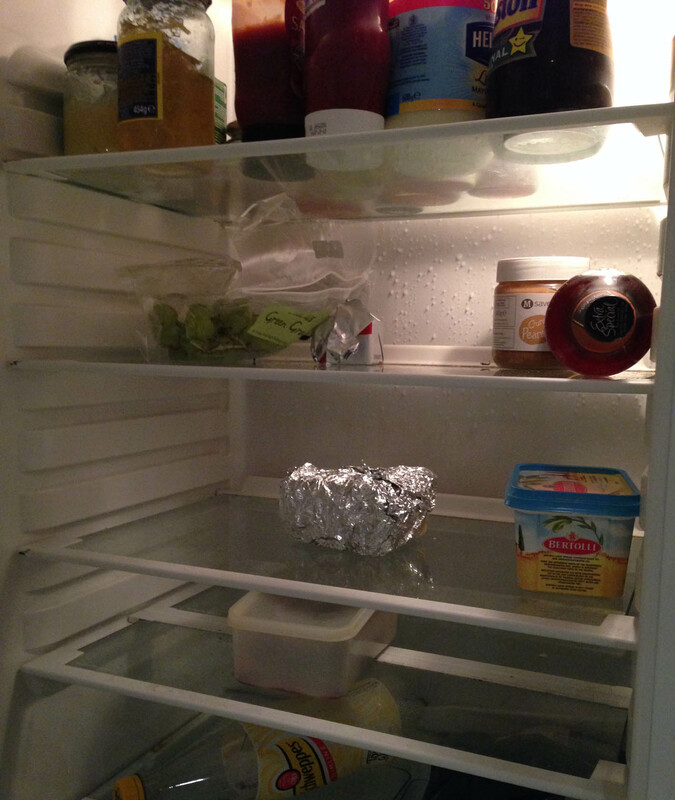 An empty fridge is no good! I hope you’re a little inspired, and if you have any more ideas please share them! I always find that I get into a rut when it comes to lunches. I’ll be doing so well, packing a lunch everyday and being creative, but then I get “busy” or really want to go out one day and then my whole system is shot for a couple weeks. I don’t get it! When I am packing my lunches, though, I really enjoy taking salads, but mixing them up with things such as nuts, seeds, dried cranberries, raisins, berries, avocado, different veggies and different fruits. I would probably get bored super fast if I kept it the same everyday!